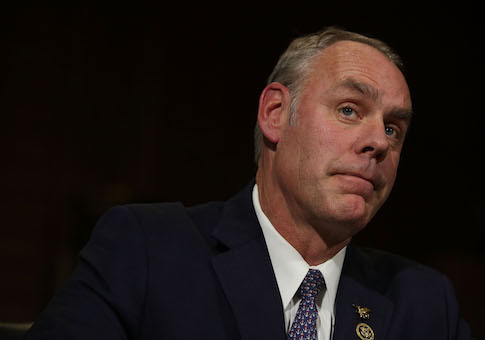 Interior Secretary Ryan Zinke announced Thursday that he fired four senior managers at the Department of the Interior for "inappropriate conduct," including sexual harassment. Interior spokeswoman Heather Swift said in an email that while she could not provide specifics, the managers "abused their authority to intimidate or harass fellow employees. This includes but is not limited to sexual harassment," ABC News reported. Zinke also spoke directly on the matter and called for "culture change." "I've already removed four senior leaders that were guilty of inappropriate behavior and I will remove four hundred more if necessary. Intimidation, harassment and discrimination is a cancer to any organization," he said in a video posted to the department's website. "However deep it goes, we will remove it from Interior," he added. In a survey of the agency, 35 percent of employees said they were harassed in the last year, with 8 percent saying they were sexually harassed. This entry was posted in Politics and tagged Department of the Interior, Sexual Harassment. Bookmark the permalink.